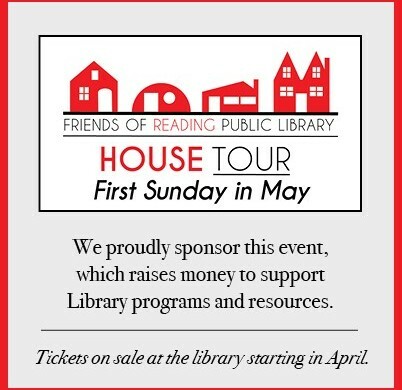 O’Sullivan Architects proudly supports the 2018 House Tour to benefit the Reading Public Library programs and resources. We have gladly been a part this annual event for many years. The House Tours are run by the Friends of the Reading Public Library.